This colourful wooden food set, which includes lots of variation, was chosen from the catalogue as a 'must-have' by our almost-4yo! 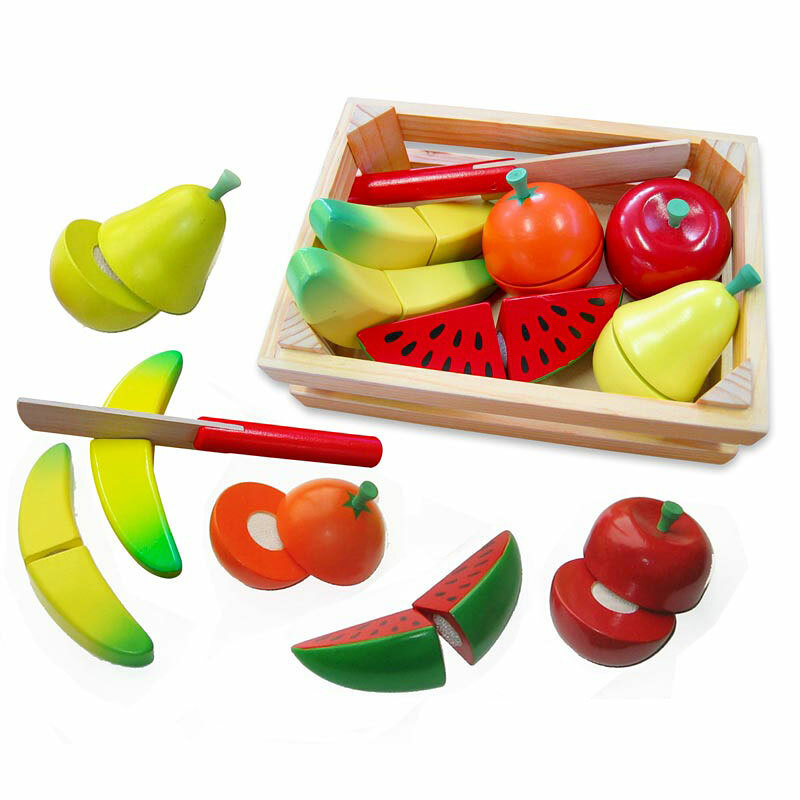 It features 6 pieces of fruit (2 x bananas, watermelon, apple, pear & orange) and a knife and is presented in a cute wooden crate which your child will love. Each item of food is made in two halves, joined with velcro. Cutting the fruit in half with the wooden knife will help to develop your child's fine motor skills and hand-eye coordination. It also teaches early basic fraction principles such as "halves" and "wholes." Your child will enjoy making up stories, preparing your morning or afternoon tea and even playing shop with this wonderful wooden food set. An ideal addition to a child's kitchen set, or a wonderful toy on its own!